Congratulations to many of our senior teams who managed to get some football in today, despite the marshy conditions on pitches around Surrey. U15 Piranhas (SYL) continued their impressive form with a 4-0 win against Worcester Park Colts in the SYL Invitation Cup Semi-Final: details of the Final will be posted as soon as we have them. Congratulations to all the players and to Paul and Andy for all their hard work. Commiserations to another Cup competitor today: U14 Hawks drew what looks like a closely contested 3-3 draw at home to Claygate Royals Foley, only to go out 0-3 on penalties. League wins were clocked up for U12 Warriors, U16 Lions and U17 Hurricanes. The Hurricanes remain top of the SPL Premier Division and continue their unbeaten League run this season. 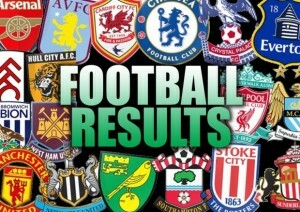 Click here for the full Results Round-Up; Managers & Team Reps: please submit match reports and photos that we can post!